Small RNA sequences guide Argonaute Protein (Apo) to its specific DNA targets, which then leads to mRNA cleavage or translation inhibition. Inside the gut, bacteria express control over their host organism by secreting Nitric Oxide which modulates Apo function. 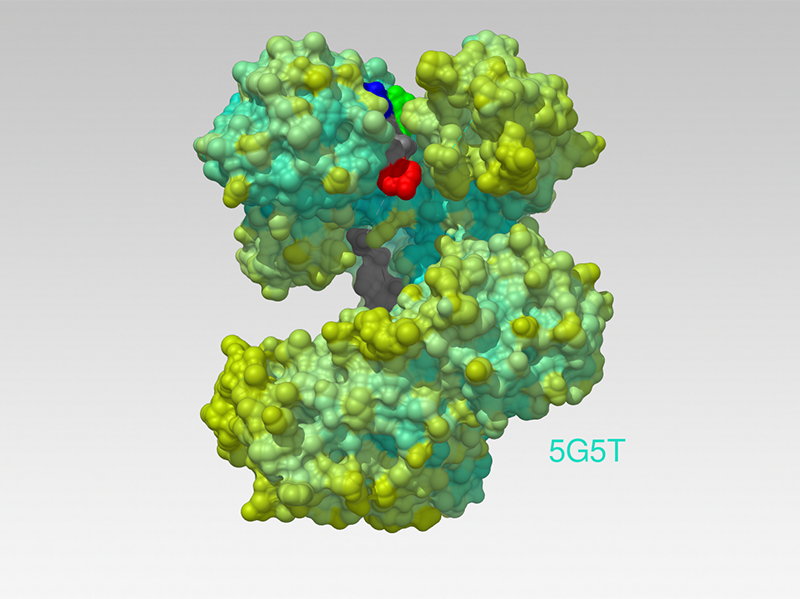 Explore the 3D structure of Argonaute Protein. 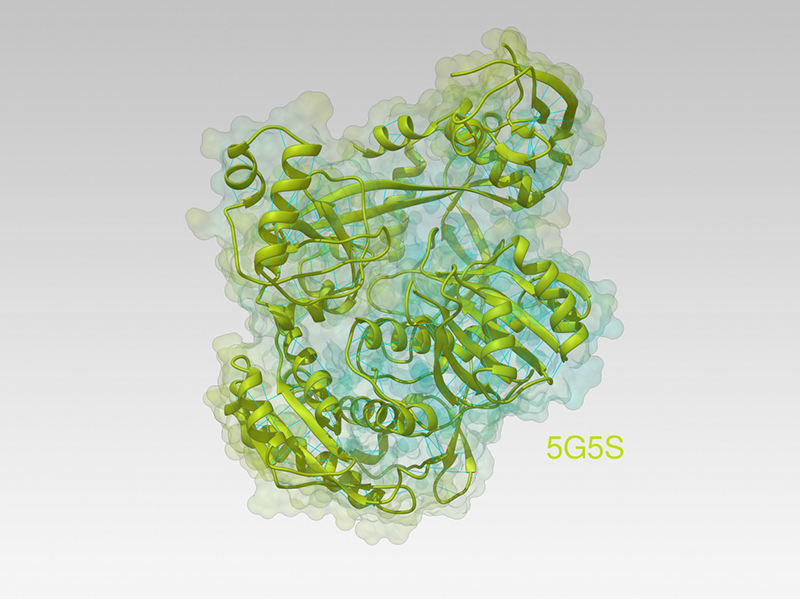 The Argonaute protein family plays a central role in DNA silencing processes. Argonaute proteins bind different classes of small nucleotides, including various types of RNAs and DNA. Small RNA sequences guide Argonaute proteins to their specific DNA targets, which then leads to mRNA cleavage or translation inhibition. Argonaute (Ago) proteins in eukaryotes protect against viral invasion by slicing short sequences of foreign DNA. 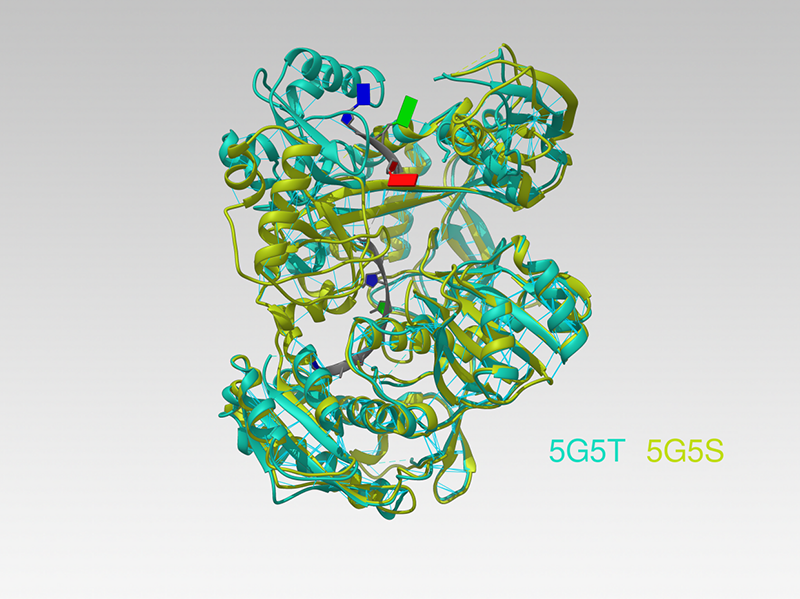 Binding of guid DNA promotes large structural rearrangement during the mechanistic slicing. Morphological analysis shows a key helical hinge regions is critical for nucleotide search processes. 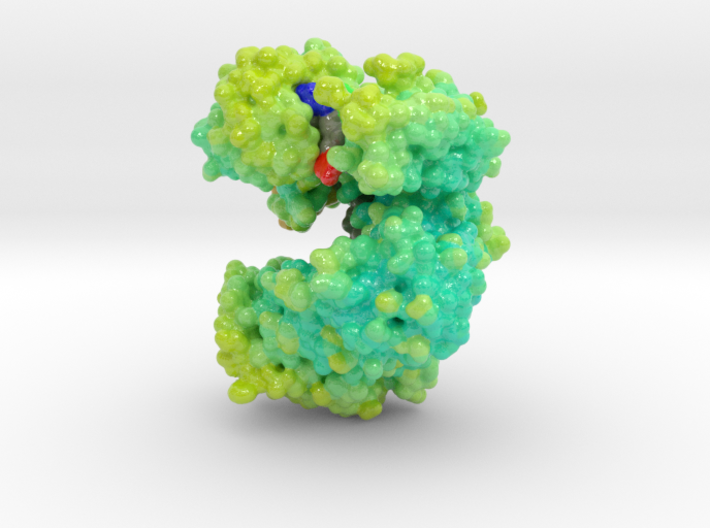 This 3D printed molecular model of Argonaute Protein is printed in full color sandstone and colored by the protein’s atomic temperature from cyan to yellow. DNA (grey) base’s are colored by nucleotide type. 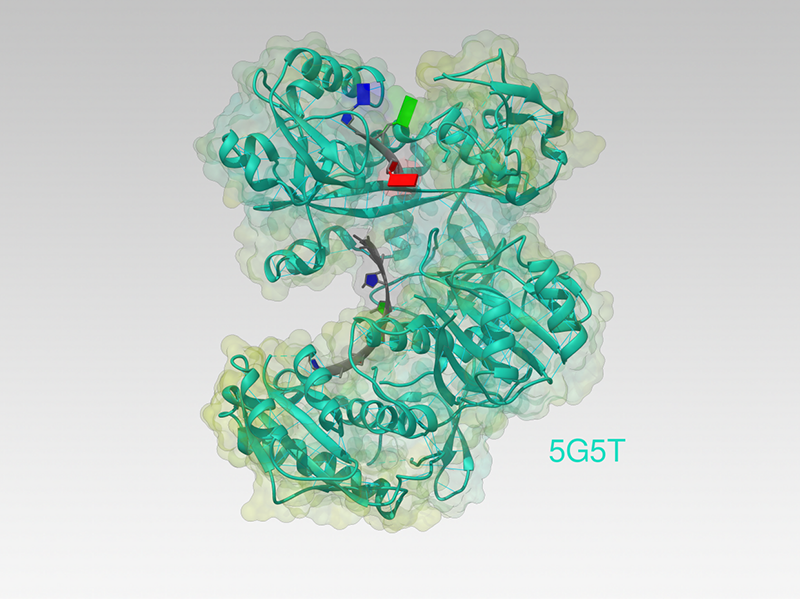 Biologic Model created from PDB IDs: 5G5S, 5G5T.